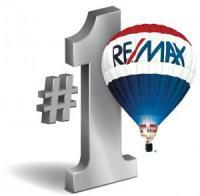 We are so pleased to have had the opportuniy to serve you with your realty needs. We, of course, hope you are not only pleased with the results of our work, but that we provided personal service and assisted wherever possible. The well being of our clients is of great importance, and we are constatly striving to minimize the confusion and stress that often accompany the home buying, selling, and moving process. We take great pride in our personal service business model, and we'd be elated if you would take a few moments to share your experience. With your input we can continue to provide the best service possible. It will also help us build a platform for perspective clients to here straight from you what Realty Delight is all about! We ask only one thing, you may have had more contact with one Sittman gal over the other, but much of the transaction is behind the scene, so feel free to mention a specific interaction with either of us, but don't mention one and exclude the other, we are a TEAM! Each platform asks reviewers to asign 1 to 5 stars based on their satisfaction, as well as a brief comentary about their experience. Click the "Sample Testimials" button for some inspiration. And the Submit Testimonial Button to add yours! now just add them to the sights bellow! How about some stars and that Testimonial on Zillow Please! ?